Iqbal points out that Zoroaster inherited two fundamental principles from his Aryan ancestry, namely that there was law in nature and that there was conflict in nature. It was the observation of law and conflict in the vast panorama of being that came to constitute the philosophical foundation of the system of Zoroaster. The problem before him was to reconcile the existence of evil with the eternal goodness of God. 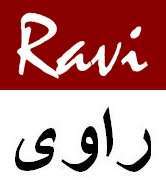 His predecessors worshipped a plurality of good spirits, all of which he reduced to a unity and called it Ahuramazda. On the other hand he reduced all the powers of evil to a similar unity and called it Druj-Ahrimann. Thus by a process of unification he arrived at two fundamental principles* which he looked upon not as two independent activities but as two parts or rather aspects of the same Primary Being. Zoroaster was thus theologically a monotheist and philosophically a dualist. To maintain that there were twin spirits-creators of reality and non-reality and at the same time to hold that these two spirits were united in the Supreme Being, was virtually to say that the principle of evil constituted a part of the very essence of God; and the conflict between good and evil was nothing more than the struggle of God against Himself. There was, therefore, an in­herent weakness in his attempt to reconcile theological monotheism with philosophical dualism, and the result was a schism among his followers. One section called the Zendiks maintained the independence of the two original spirits from each other, while the other section called the Magi upheld their unity. “Whether the philosophical dualism of Zoroaster can be reconciled with his monotheism or not, it is unquestionable that, from a metaphysical standpoint, he has made a profound suggestion In regard to the ultimate nature of reality. The idea seems to have influenced ancient Greek philosophy as well as early Christian Gnostic speculation, and through the latter some aspects of modern Western thought. As a thinker he is worthy of great respect not only because he approached the problem of objective multiplicity in a philosophical spirit, but also because he endeavoured, having been led to metaphysical dualism, to reduce his Primary Duality to higher unity. He seems to have perceived that the diversity of nature could not be explained without postulating a principle of negativity or self differentiation in the very nature of God”. iqbal explains that according to Zoroaster there are only two cate¬gories of existence, and the history of the Universe is nothing more than 3 progressive conflict between the forces falling respectively under these categories. We are, like other things, partakers of this struggle, and it is our duty to range ourselves on the side of Light which will eventually prevail and completely vanquish the spirit of darkness. Iqbal points out that thus the metaphysics of Zoroaster, like that of Plato, passes on into Ethics, and it is in the peculiarity of the ethical aspect of his thought that the influence of his social environment is most apparent. According to Zoroaster, the soul is a creation, not a part of God. It had a beginning in time, but can attain to everlasting life by fighting against evil in the earthly scene of its activity. 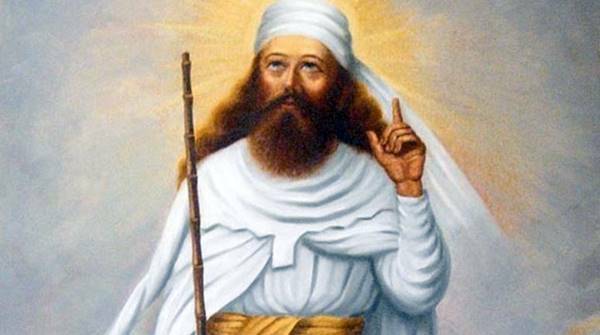 Zoroaster is believed to have flourished during the period 660—538 B.C.